Learn how to make the most of your photos with our easy to follow creator tool tips for creating your best photo book yet. 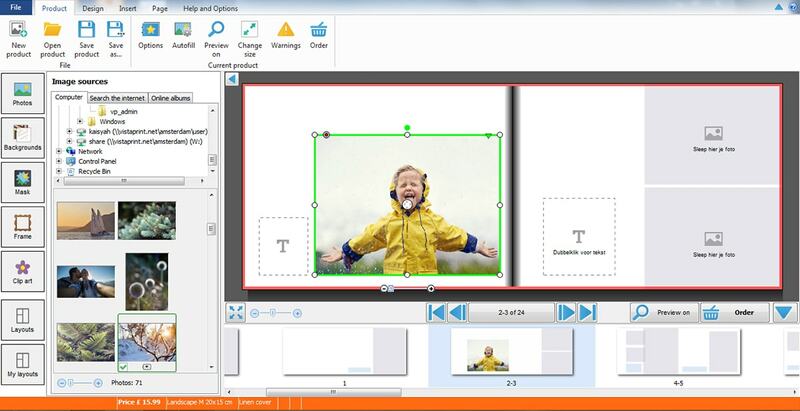 Our simple and easy to follow photo book tips will ensure you get the most out of our Windows creator tool and end up with a photo book you love. Before getting started, it’s a good idea to get all your photos saved on your computer and organise them into an easy to use system. If you’re short on time our tips for creating a photo book in under an hour might also come in handy. A zoom bar appears beneath the placeholder when you click on an image so you can adjust how your photo appears. You can also crop the photo within the placeholder by holding down the button in the center of the photo and dragging it around the frame. 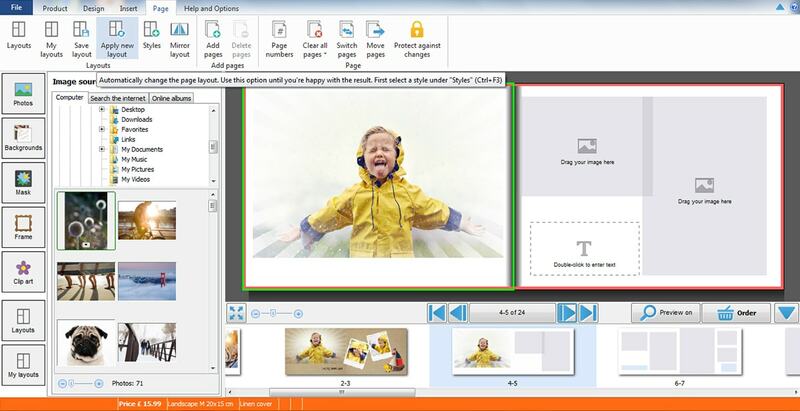 You can adjust the position of the photos on the page simply by clicking anywhere on the photo and dragging the placeholder to the desired position. By right-clicking the photo you will also find some handy options. 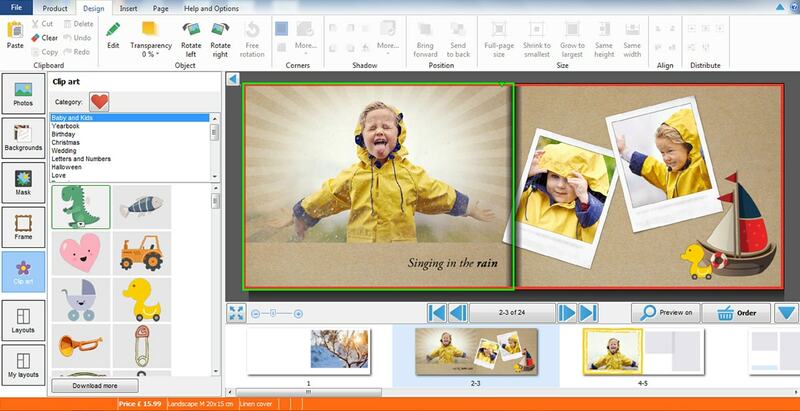 For example you can make your photo a background, spread it across two pages or align it with others. 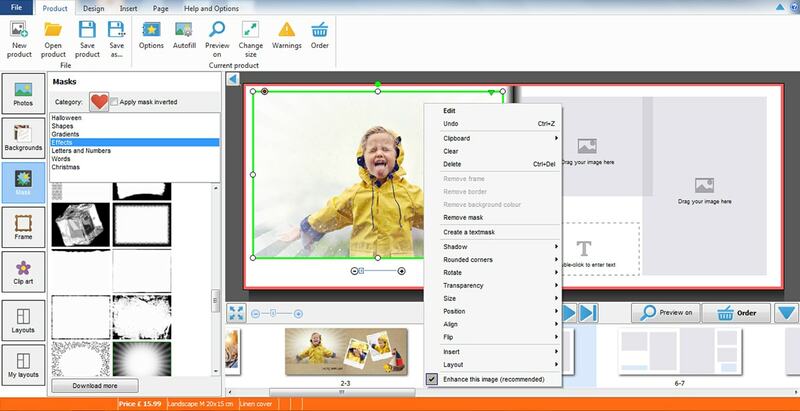 Tip: you can also apply some of these options to multiple photos at once – select the photos you want to apply the option to by holding the CTRL key on your keyboard while clicking each image. 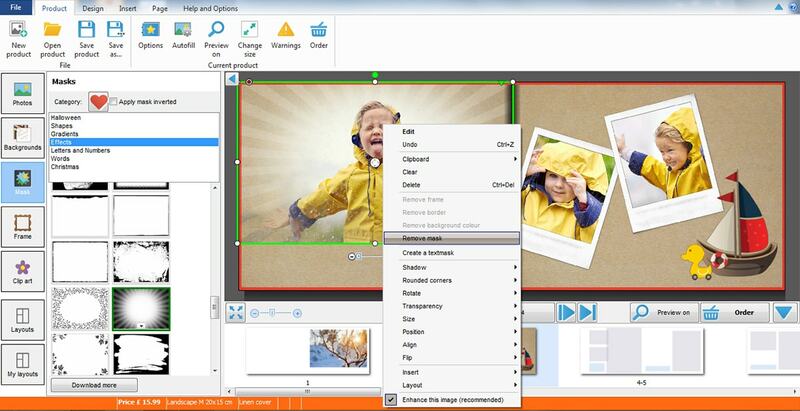 Then, with all your desired photos selected, right-click with your mouse to open the options. 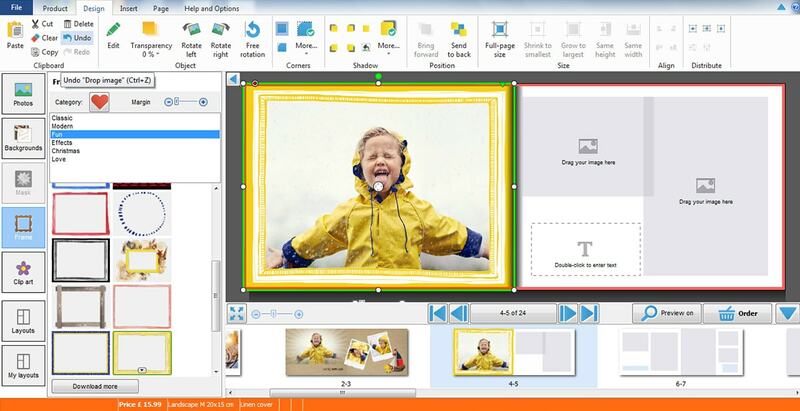 Click on the ‘Design tab’ and add backgrounds, masks, frames and clip arts in the left hand panel. Scroll through the range of categories to find the options that best suit your theme or style. We release new design options every month so there are plenty to choose from. Add or remove design options by simply dragging and dropping them into your page. 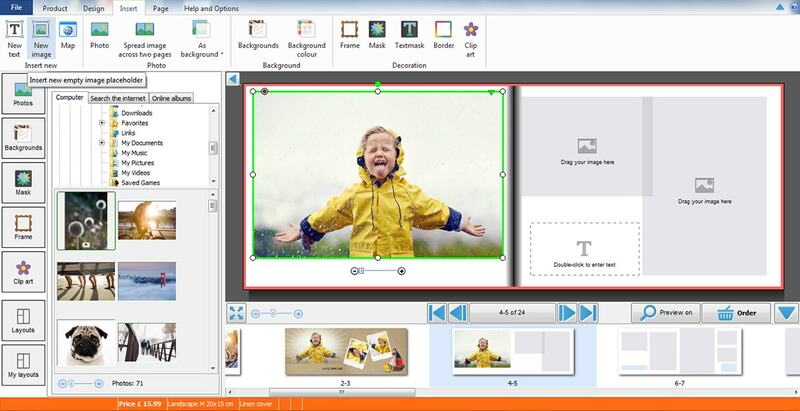 No need to delete a background, mask or frame if you want to use a different one, just drag and drop the new one over the existing one and it will be replaced. If you do want to remove masks or frames, right click it and you’ll see an option appear to remove it. You can delete clip arts just like you delete image placeholders. 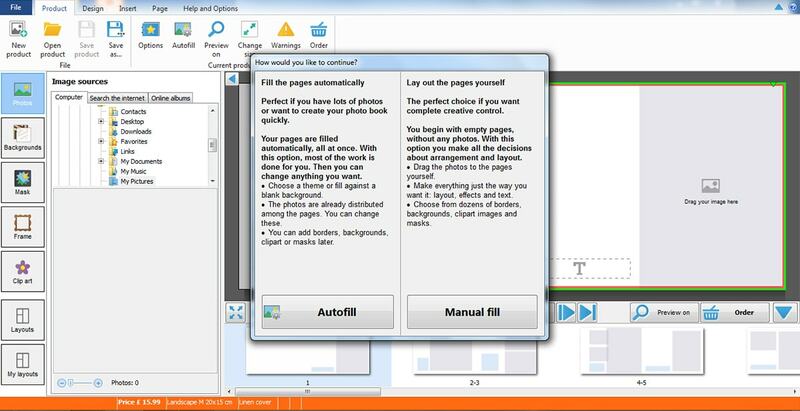 To remove a backgrounds, select the page and then select ‘None’ from the background options. Just like the image placeholder, the creator tool automatically includes some text placeholders on each page and you can add, delete and adjust text the same way. To write, double click the placeholder and a text box will pop up. Write your text and select your font plus colours and sizes before closing the box. The text options will appear at the top of your screen. There are loads of other options and a lot more you can do with your book but these are the basics for creating a great looking page. And remember, don’t be afraid to play around in the creator tool – if you don’t like it you can always use the ‘Undo’ button. Follow these simple tips and see what creations you can come up with. 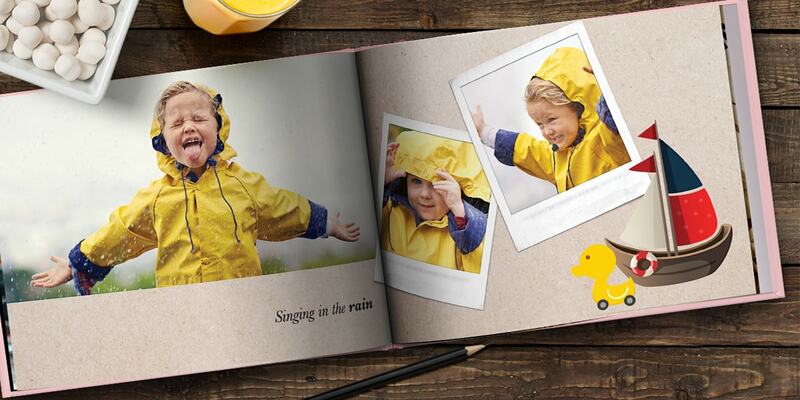 All your favourite moments deserve to be displayed in a photo book as special as the photos themselves.